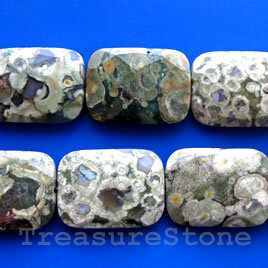 Bead, rhyolite, 18x25mm rectangle. 16-inch strand. Bead, rhyolite, 22x30mm faceted rectangle. Sold pkg of 13. 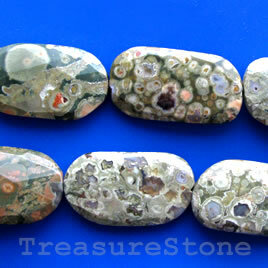 Bead, rhyolite, 22x40mm faceted freeform nugget. Sold pkg of10. 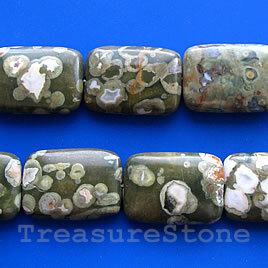 Bead, Green Zebra Jasper, 10mm flat round. 16-inch strand.